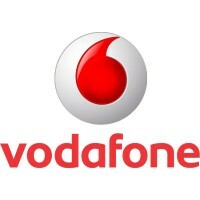 Vodafone Group Plc (LON:VOD), today announced trading update for the quarter ended 31 December 2018. During Q3 the Group made further progress on its strategy to deepen customer engagement in each customer segment (Europe Consumer, Vodafone Business and Emerging Consumer), to accelerate digital transformation and to improve asset utilisation, in order to drive sustainable revenue and free cash flow growth. Europe Consumer service revenues excluding UK handset financing declined by 1.3%** in Q3 (Q2: -1.2%**). Excluding Spain and Italy, which were impacted by price competition, European Consumer service revenues grew by 2.4%**. Fixed grew 1.4%*, slower than in Q2 (3.0%*) following our strategic decision not to renew unprofitable football rights in Spain. Mobile declined by 2.4%** (Q2: -2.7%**). We improved our commercial momentum during the quarter, particularly in Italy and Spain where competitive intensity moderated as the quarter progressed. This contributed to stable mobile prepaid portability in Italy, and to stable mobile contract and fixed portability in Spain, during the month of December. In Q3 fixed contributed 29% of segment revenues. We added 226,000 broadband customers, including 414,000 NGN customers, and our converged base increased by 188,000. 34% of our broadband customers are now integrated into converged bundles, an increase of 5 percentage points compared to the prior year quarter. On a pro-forma basis for the acquisition of Liberty Global’s cable assets in Germany and CEE (announced in May 2018), our leading NGN footprint covered 120 million households at the end of the period, of which 54 million are ‘on-net’ (including VodafoneZiggo). In mobile, contract churn improved by 1.4 percentage points in Q3 compared to the same period last year, with single digit churn rates achieved in four markets. We added 184,000 contract customers, and data growth remained strong at 52%, with average smartphone usage increasing to 3.3 GB per month. In Q3, Europe Consumer accounted for 49% of Group service revenues. Vodafone Business service revenues declined by 0.5%* in Q3 (Q2: 1.1%*). Fixed, which represents 32% of segment revenues, grew 3.5%* (Q2: 4.7%*) due to ongoing market share gains and strong growth in Cloud services. This was offset by a mobile decline of 2.2%* (Q2: -0.5%*). Slower mobile growth reflected a weaker performance at Vodacom and increased pricing pressure in Europe, particularly in the SoHo segment, as well as a slowdown in the Automotive part of our IoT business. However, IoT connectivity revenues continued to grow strongly, supported by our leading global IoT platform, with 27% growth in SIM connections to 80.9 million. In Q3, Vodafone Business accounted for 30% of Group service revenues. During Q3, Emerging Consumer service revenues grew at 6.4%* (Q2: 9.0%*). Growth in South Africa slowed sharply as a result of our pricing transformation strategy to reduce out-of-bundle revenues. Customers utilised our promotional summer offers to optimise their bundle spend amid a challenging macroeconomic environment. However, good growth continued in Turkey, Egypt and other African markets. In euro terms, service revenues declined by 7.4%, mainly due to the devaluation of the Turkish lira. Data users grew by 8% in Q3, and 69% of customers now use data. Together with rising 4G penetration (now 33%, up 10 percentage points compared to the prior year quarter), this supported 53% growth in data usage. Our African payments platform M-Pesa (including Safaricom) also maintained good momentum, with active customers growing 14% to 37 million, and transaction volumes up 27% in Q3. In Q3, Emerging Consumer accounted for 16% of Group service revenues. We continued to make rapid progress in the adoption of new digital technologies, which have the potential to improve all aspects of our business. Combined with the impact of our ‘Fit for Growth’ programme, we remain on track to achieve our target of a €400 million net reduction in operating expenses in Europe and Common Functions during FY19 and a €1.2 billion reduction in operating expenses by FY21, compared to FY18 on an absolute organic basis. We announced two important partnership agreements after the quarter ended which aim to improve the utilisation of the Group’s network and technology assets. On 23 January 2019 we announced the intention to extend our existing network sharing agreement with Telefonica O2 in the UK to include 5G. This would enable us to offer 5G services to more customers over a wider geographic area, and to do so at a lower cost. We also plan to extend greater network autonomy in a number of larger cities by deploying our own radio equipment on approximately 2,500 sites, providing us with greater flexibility to meet the needs of our customers in these areas. In addition, we intend to explore options around the future operating model for our transmission networks, which could drive further synergies. After the new network sharing agreements have been finalised, we will explore a potential monetisation of CTIL, the 50:50 joint venture company which owns and manages our passive tower infrastructure. On 17 January 2019 we announced a strategic commercial partnership with IBM for cloud services. Under the terms of the eight year managed services agreement, Vodafone Business customers will immediately have access to IBM’s leading multi-cloud offering. We also intend to co-develop new digital solutions, combining the strengths of Vodafone’s leadership in IoT, and 5G with IBM’s multi-cloud, industry and professional services capabilities. The partnership enables the Group to move to a variable cost model for cloud services, and to reduce our dependence on capital intensive legacy datacentres. Trading during the third quarter was in-line with management’s expectations underlying the outlook statement for the 2019 financial year. The Vodafone Group therefore confirms its expectation that organic adjusted EBITDA on an underlying basis (excluding settlements and UK handset financing, IAS 18 basis) will grow by around 3%, with free cash flow generation (pre-spectrum) of around €5.4 billion. Under IFRS 15, we expect our organic service revenue growth will be slightly higher and our absolute adjusted EBITDA will be slightly lower, primarily due to the elimination of the impact of UK handset financing under IAS 18, with no impact on FCF.